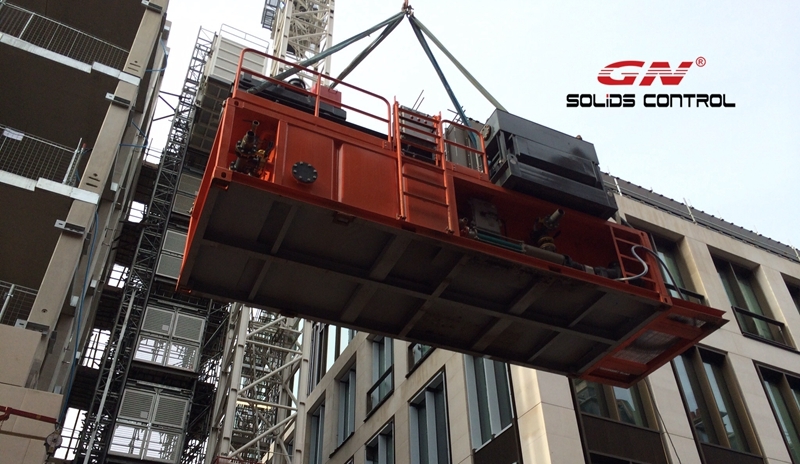 GN Solids Control dispatched a mud separation plant for building site liquid removal. The system was customized for a European company. Now the mud separation plant arrived the European job site and have been started to use at the building construction site. The client is very happy with the system, and give high praise to GN design mud separation plant and GN fast delivery and reliable services. Below is the mud separation plant in the clients building construction site. They will use the system for liquid removable. To separate water, grit, stone and also for mud separation. Previously, when the client contact with GN, they inquire decanter centrifuge to do also the separation jobs. Absolutely, with only a centrifuge, they cannot do the job. GN sales people communicate the clients to make sure their demands and know well their inquires. Then GN team invites the clients to pay a visit to GN Solids Control to check the company and quality by themselves, and have a face to face meeting with GN engineers. After talking with GN engineering team, they work out a turnkey solution for the mud separation project. Firstly, a double deck shale shaker will be used for pre-separation. The top deck shaker screen utilize coarse screen to separate stone and big solids. The bottom deck screen utilize fine screen to separate the fine solids. After the 2 steps separation, there will be big solids enter into centrifuge. It can protect the centrifuge well. And another site, it can enlarge the total treating capacity of the whole liquid removal mud separation plant. Secondly, a decanter centrifuge is used after shale shaker to further remove the fine solids. For a compact design, all above equipment are mounted in a mud tank for small footprint and easy movement.